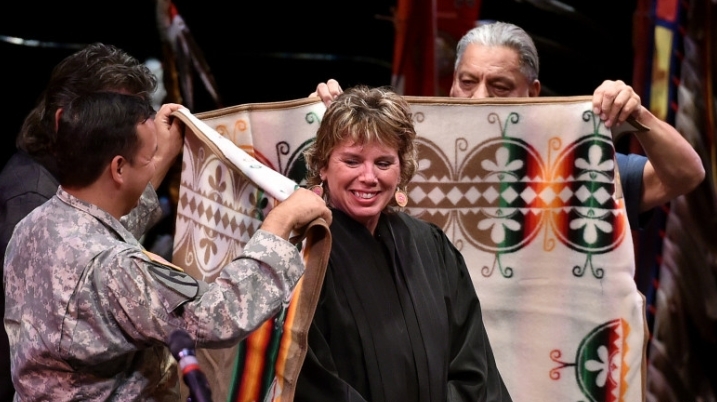 As the 94th Associate Justice of the Minnesota Supreme Court, Anne K. McKeig is the first Native American judge to rise to the Minnesota Supreme Court and the first female Native American to serve on any state’s high court. 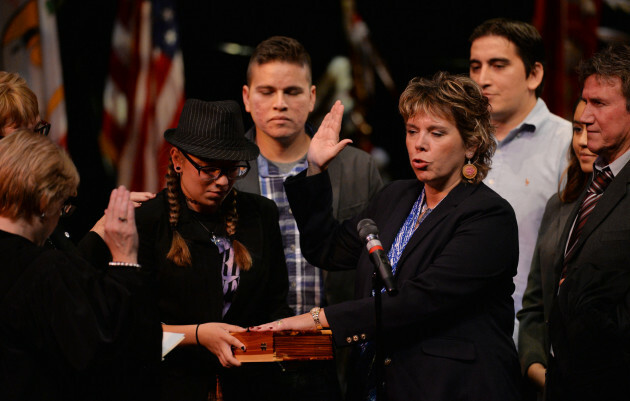 McKeig was sworn in during a public investiture ceremony Thursday at the O’Shaughnessy Auditorium on the campus of St. Catherine University in St. Paul. Gov. Mark Dayton appointed McKeig to the Supreme Court in June to replace retiring Associate Justice Christopher J. Dietzen. Students from Northland High School in Remer, Justice McKeig’s former high school, performed a drum circle and the White Earth Color Guard posted colors. 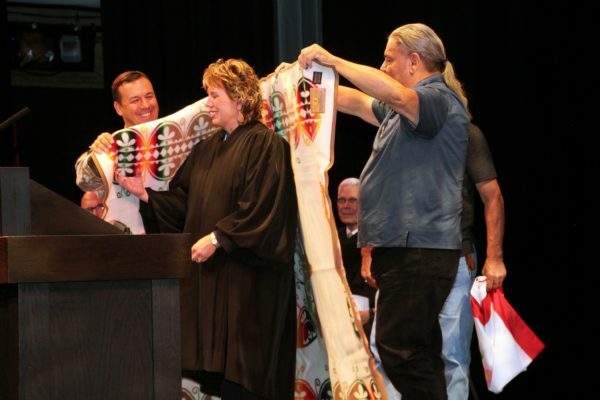 McKeig is the first Native American judge to rise to the Minnesota Supreme Court and the first female Native American to serve on any state's high court. A nationally known speaker on Indian child welfare issues, McKeig was first appointed to the 4th Judicial District in 2008 by Gov. Tim Pawlenty. She earned her bachelor’s degree from St. Catherine University and her law degree from Hamline University School of Law. She currently is an adjunct professor at Mitchell Hamline School of Law. Responses to "McKeig Becomes 1st Native American Serving on State's Highest Court "